SHELL E&P Ireland made a commitment in 2007 to no longer rely on consents issued in 2002 for an onshore pipeline by the then minister for the marine Frank Fahey, according to two environmentalists. The claim by Peter Sweetman and Monica Muller, which was challenged by Shell counsel, was made during a heated debate at yesterday morning’s session of the An Bord Pleanála hearing in Belmullet, Co Mayo into the controversial Corrib gas project. Shell has consistently argued that the section of the pipeline on and above the shore at the landfall site of Glengad has consents. The appeal hearing is deliberating on a revised plan for the onshore pipeline linking Glengad to the Bellanaboy terminal, which would involve tunnelling under the Sruwaddacon estuary, a special area of conservation. It is also due to hear an application by Shell for compulsory acquisition orders to lands. On Wednesday, inspector Martin Nolan allocated time for objectors to address questions to the applicant regarding an ongoing dispute about the legality of a 10m section of the pipeline at Glengad, which has already been laid. During this debate, Ms Muller said she and Mr Sweetman withdrew their counterclaim in 2007 in the High Court case of Shell vs McGrath and others because “Shell had given an undertaking it would no longer use the consent from 2002 for the onshore route”. “They stated they wouldn’t be able to withdraw the entire consent because they needed it for the offshore section of the pipeline,” Ms Muller said. However, Esmonde Keane SC argued that the only commitment the company made at that time was with regard to the vacating of compulsory acquisition orders, and that there was no concessions granted about the consents. “The special undertaking by Shell in April 2007 was with regard to compulsory acquisition orders. This was a specific undertaking regarding the lands of the five men who were jailed [the Rossport Five],” Mr Keane said. Mr Sweetman argued there were grounds for a judicial review of this application by the developer. In a letter from An Bord Pleanála last November, in which it advised Shell to go back to the drawing board about almost half the proposed route, it was noted that Shell “omitted” this section of the pipeline from its first application for the modified route. Mr Nolan asked Mr Keane what the company’s position was with regard to its inclusion of that part of the route in this latest application. “Its inclusion was done entirely without prejudice by the applicant with the view that it does not need planning permission and this was upheld by Mr Justice Peter Charleton in the High Court last month,” Mr Keane said. The hearing continues today and is expected to continue into mid-September. FIANNA FÁIL TD Thomas Byrne has claimed that “powerful forces” from outside Co Meath were attempting to stop the Slane bypass going ahead. Mr Byrne, who represents Meath East, was joined by Slane FF councillor Wayne Harding in rejecting criticism of the project earlier this week by Dr Edgar Morgenroth, associate professor at the Economic and Social Research Institute. Dr Morgenroth described the proposed bypass as “idiotic” and warned he would make a formal complaint to the Comptroller and Auditor General if An Bord Pleanála approved the current proposal. The board, which is considering the matter, has asked Meath County Council to supply detailed additional information on the bypass, including whether any alternative route west of the village had been examined. Mr Byrne said Dr Morgenroth’s opinion “smack[ed] of unwarranted interference” in the board’s independence and was highly inappropriate. Mr Byrne said the N2 through Slane village had caused huge concern among the community for years and many people had lost their lives on a relatively short stretch of road. A PLAN to develop a private members club at the site of the infamous Stardust Ballroom in Artane, Dublin has been rejected by An Bord Pleanála. The dismissal marks the second rejection of the application which was turned down by Dublin City Council last December. Under the proposal, the family of Patrick Butterly who own the property, applied for a change of use relating to the Artane House Pub. In a statement issued yesterday, An Bord Pleanála said the intended development did not fit in with the zoning criteria attached to the site. “The proposed development is in an area zoned as Z6 for which the land use objective is to provide for the creation of enterprise to facilitate opportunities for employment creation as set out in the Dublin City development plan. The rejection of the application was welcomed by Fine Gael TD for Dublin North-East Terence Flanagan who said such a development would be disrespectful to the 48 people who lost their lives at the Stardust Fire on the night of February 13th, 1981. THE DEPARTMENT of the Environment says it has completed an investigation into survey works by Shell EP Ireland for the Corrib gas pipeline and is “satisfied” that the developer is complying with licensed requirements. A senior engineer from the department travelled to north Mayo to meet Shell management, following a complaint lodged by community group Pobal Chill Chomáin. A report by the engineer has found that the works in the Sruwaddacon estuary special area of conservation comply with foreshore licence conditions and are “in accordance” with the approved environmental management plan, the department has said. However, Pobal Chill Chomáin, which lodged the complaint, has expressed disappointment that it was not contacted by the engineer, nor was it invited to submit video evidence to back up its concerns. It says it had been advised by gardaí in Belmullet to contact the department with its concerns. Shell was licensed by Minister for Environment John Gormley to drill up to 80 boreholes as part of its investigative work into the new pipeline route – a route currently being considered at a resumed oral hearing hosted by An Bord Pleanála in Belmullet. Pobal Chill Chomáin claims that the number of ribs, tugs and boats being used by Shell contractors for the investigative work “regularly” exceeds the number cited in the firm’s foreshore licence application for the work – as does the number of people on board the vessels. As part of its complaint, Pobal Chill Chomáin informed the department about an incident on August 14th when a large group of dolphins swam into Broadhaven bay, out into which Sruwaddacon estuary runs, and was “subjected to a barrage of Shell boats that constantly travelled between Rossport and Ballyglass”. The community group says that there was no evidence of marine mammal observers in the area. It is also concerned about the frequency with which two jack-up rigs deployed for the work are being moved. The relocation “involves dragging through the sand and sediments that are home to numerous species of shellfish that form part of the local diet”. The group refers to a lack of independent baseline study work for the estuary which would determine the extent of the ecosystem and any subsequent damage caused by survey works. The group is also concerned about the level of private security deployed by the company during the survey work. THE ENVIRONMENTAL Protection Agency (EPA) has recommended that a revised emissions licence be awarded to Shell EP Ireland for the Corrib gas terminal. This will result in most waste chemicals being discharged more than 80km off the Mayo coastline. Objectors have been given until August 31st to respond to the decision which, if finally approved, will vindicate the stance taken by inshore Erris fishermen on protection of the Broadhaven Bay marine environment. Erris Inshore Fishermen’s Association chairman Eddie Diver said yesterday his members welcomed the agency’s ruling in relation to the marine dimension. “It’s what we wanted, but it took us a long time to get to this stage,” Mr Diver said. A monitoring regime is one of a number of conditions attached to the agency’s decision, which approves discharge of some 80 per cent of “produced water” from the gas terminal, containing chemicals including methanol, through an “umbilical” pipe to the wellhead 83km offshore. The remaining 20 per cent will be removed from site by truck for licensed disposal. The umbilical is a subsea link which has yet to be laid and which will control the wellfield infrastructure from onshore. The company had originally planned to discharge treated water from an outfall pipe 2km north of Erris Head into a “diffuser” 12.7km offshore. As part of its integrated pollution prevention control (IPPC)licence review, the company has sought approval to increase emissions of carbon dioxide, and “negligible” increases in emissions of nitrogen and carbon monoxide. The preliminary decision comes after years of lobbying on the issue by the inshore fishermen’s group, the main body representing many of the 150 fishermen working off Erris. The association made it clear to Shell that it would not facilitate the laying of the gas project’s offshore pipe until the company signed up to a legally binding agreement. Under the legal agreement of August 2008, the company promised to seek a change to its original IPPC licence from the EPA, which had been awarded in late 2007. The company pointed out at the time that the agency and “international experts” had “confirmed that the treated produced water will cause no harm to the marine environment”. Fishermen were subsequently compensated for facilitated offshore pipelaying. However, the company didn’t apply for a revised IPPC licence until six months after the offshore pipe was in place. Several EIFA members, including father and son Pat and Jonathan O’Donnell, refused to accept compensation due to their continued health and safety concerns. Shell E&P Ireland said yesterday it had “no comment to make at this stage” on the EPA determination as “the process is ongoing”. In a separate development, it is understood that a senior engineer with the Department of the Environment met Shell management this week to discuss a complaint lodged by community group Pobal Chill Chomáin about aspects of the company’s current survey work in Sruwaddacon estuary, a special area of conservation. The group expressed concerns regarding the impact of excess boat traffic on marine life such as dolphins, and the environmental impact of regular movement of two jack-up rigs. The group also claimed that there was excessive security. Shell said yesterday that it was “operating in accordance with the conditions of the foreshore licence, and it “participated fully in the review undertaken by the departmental engineer who visited the works” this week. A 10-METRE section of the Corrib gas onshore pipeline which has already been laid without Bord Pleanála approval is due to be debated at the appeals board hearing in Belmullet, Co Mayo, today. Bord Pleanála inspector Martin Nolan told the resumed oral hearing yesterday that he would allow an early opportunity to explore the issues. Objectors had sought clarification from Mr Nolan on the legality of the 10m section when the resumed hearing opened in Belmullet on Tuesday. The hearing is considering a revised plan for the onshore pipeline linking Glengad to the Ballinaboy terminal, which would involve tunnelling under Sruwaddacon estuary, a special area of conservation. It is also hearing an application by Shell EP Ireland for compulsory acquisition orders to lands. Shell has said the section on and above the shoreline at Glengad had consents, and the company put on record yesterday a High Court ruling of July 21st, 2010, issued by Mr Justice Peter Charleton. Mr Justice Charleton turned down an application by Mayo fisherman Jonathan O’Donnell, who challenged the legality of the pipeline laid up to the proposed landfall valve installation for the project at Glengad. The judge said in his ruling he had two “declarations” before him from Mayo County Council and Bord Pleanála stating that the landfall valve installation, fencing, associated works and the “relevant pipeline” were “lawful” under Section 5 of the 2000 Planning and Development Act. Retired schoolteacher and Belmullet resident Ed Moran urged the inspector to seek his own legal advice on the issue, as not to do so would undermine the hearing. Mayo council is to give submissions at the hearing, which continues today and is expected to run into mid-September. DUBLIN CITY Council has obtained permission from the High Court to bring proceedings against a construction company and one of its directors over alleged breaches of orders preventing the use of an apartment complex’s underground car park until fire safety improvements were made. Yesterday at the High Court, lawyers for the council informed Ms Justice Mary Laffoy that the terms of the injunction against the complex’s owners, and main contractors, McGinley Construction, The Hollands, Lifford, Co Donegal, and a director of the firm, Hugh McGinley, the Haw, Lifford, were not being complied with. Earlier this month, the council obtained an injunction, pending the full hearing of the action, prohibiting the use of the basement car park at the complex that consists of 73 apartments in blocks of four and five floors as well as unoccupied retail units and a creche at 55-58 East Road, Dublin 3. Mr Justice Bryan McMahon, who had no hesitation in granting the injunction, also ruled the order was to remain until a number of specific measures take place. These include the carrying out of works to ensure compliance with fire safety notices and that certificates of compliance from a registered engineer or architect were furnished to the Fire Authority. The injunction was granted after a senior fire prevention officer with Dublin Fire Brigade expressed his fears that, in the event of a fire in the basement, there was “a serious and immediate risk to the lives” of the dozens of occupants residing in the apartments above unless certain works were complied with. Yesterday, James Connolly SC, for the council, said that the injunction was originally sought by his clients to prevent the use of the basement for car parking and storing rubbish due to safety concerns. Mr Connolly said those concerns were “being ignored” and the terms of the injunction were not being complied with. Ms Justice Laffoy made the matter returnable before the High Court next week. PLANS FOR a dual-carriageway to bypass the village of Slane, Co Meath, have been described as “idiotic” by Dr Edgar Morgenroth, associate professor at the Economic and Social Research Institute. Dr Morgenroth, who is the institute’s programme co-ordinator for research on transport and infrastructure, said he would be making a formal complaint to the Comptroller and Auditor General if An Bord Pleanála approved the current proposal. He also said plans by the National Roads Authority for a 27- kilometre dual-carriageway between Clontibret, Co Monaghan, and the Border at Aughnacloy, Co Tyrone, amounted to “total overkill, especially since Monaghan has already been bypassed”. In a blog posted yesterday on the irisheconomy.ie website, Dr Morgenroth said a wide, two-lane road bypassing the village of Emyvale, Co Monaghan, as had been done already in the case of Carrickmacross, would be “perfectly sufficient”. “I am not against motorways but I am against the sort of gold-plating that has been going on – building a motorway where something more appropriate would have served the purpose,” he said. Dr Morgenroth added that he was “sceptical” about the cost-benefit analysis being used by the the authority. Referring to claims in such analyses that reductions in road fatalities were entirely due to road improvements, Dr Morgenroth said this was not correct. “There are many factors including road improvements, the points system, road safety campaigns, safer cars, etc. “We keep making the same mistake of comparing a project with a ‘do nothing’ benchmark. It is hardly surprising that ‘do something’ is better than ‘do nothing’. Dr Morgenroth cited Dublin City Council’s “grand plan” to pipe water to the city from the river Shannon, at the cost of €540 million, as an example. He said that the introduction of metered water charges for all households “would make that project redundant”. “While the project website refers to a number of alternatives, all of them involve construction, including the hair-brained idea to build a desalination plant”, he said, adding that this was probably due to a fascination for, or “addiction”, to construction in Ireland. Dealing with the proposed Slane bypass, he said it was “totally irrelevant” for access from Co Donegal to Dublin. “You only have to use the excellent and uncongested N33 [Ardee link road] to get on to the excellent and uncongested M1 to get to Dublin. “Facilitating toll dodgers by building a dual-carriageway parallel to the M1 is about the most stupid thing that the Government could do – worse still if those toll dodgers are ‘free-riding’ on the improved roads in the first place”, Dr Morgenroth added. Minister for the Environment John Gormley said today he would not be "browbeaten or intimidated" by anyone into issuing a foreshore licence for the €350 million Poolbeg incinerator. Speaking on RTÉ radio this morning, Mr Gormley reiterated his opposition to the project, which is to be located in the Green Party's leader's constituency of Dublin South East. He also called for a renegotiation of the Poolbeg contract between the US developer Covanta and the Dublin city councils and said he was ready to sit down with the principals involved to discuss a way forward on the issue. Mr Gormley denied he was opposed to the controversial incinerator simply because it would be situated in his backyard. "It is untrue that I am saying that because of some Nimby (Not in my backyard) concern that I'm saying this should not go ahead. The fact is that the biggest sewage plant ever constructed in this country was built a stone's throw from my own front door. Why? I accepted it and believed it was a good idea," he said. The Minister said the Poolbeg incinerator should not be constructed because the contract between the councils and the US developer Covanta stressed that 320,000 tonnes of waste would have to be supplied or else the councils would be forced to a fee to the firm. Mr Gormley claimed the taxpayer would end up paying for the shortfall. "Why should we go ahead with a plant with 600,000 tonnes when we know for a fact that Dublin City Council cannot supply 320,000 tonnes and the taxpayer will end up picking up the tab? Why should we go ahead with that? It would be irresponsible to proceed," he said. Mr Gormley added that he believed the contract between the councils and Covanta needs to be renegotiated. He said he didn't believe the contract is one that can be fulfilled without changing waste policy. The Irish Times revealed last week that the incinerator project is set to face further delays and costs following a decision by Dublin City Council to compulsorily purchase 65 plots of land along the coastline. The council has been asked by Covanta, the company developing the incinerator, to buy the land because it has not yet received the foreshore licence which would allow the company use water from the river Liffey for a cooling system for the incinerator. By taking ownership of the land, the council would no longer need the licence as it would have automatic access to the river water. A DISPUTE over the legality of a section of Shell’s Corrib gas pipeline which has already been laid dominated a resumed Bord Pleanála oral hearing in north Mayo yesterday. Bord Pleanála inspector Martin Nolan said he would respond today to this and other issues raised by objectors during heated exchanges at yesterday’s opening of the hearing in Belmullet. Held under the Strategic Infrastructure Act, the hearing is considering Shell’s third proposed route for the final section of the Corrib gas pipeline, linking the offshore pipe landfall at Glengad to the gas terminal at Ballinaboy. It is also considering compulsory acquisition orders to land applied for by Shell on behalf of Corrib gas partners Statoil and Vermilion Energy. A previous route approval sought by the developers was rejected by the board late last year, as half of the 9km route was deemed “unacceptable” on safety grounds due to proximity to housing. The appeals board indicated it could give approval in principle if certain changes were made, and suggested an alternative, third route up Sruwaddacon estuary, which is a special area of conservation. Almost 40 oral submissions are due to be heard on this revised plan – a number of which either support or oppose the methodology. Two priests with opposing views, Fr Michael Nallen of Kilcommon parish who lives in the affected area, and Fr Kevin Hegarty of Kilmore, will also give submissions, as will the board of Pollathomas National School, which overlooks the estuary. Fr Hegarty is a member of Shell’s third-level scholarship board. Several of the objectors sought clarification yesterday on the legality of a section of pipeline already laid between the high water mark at Glengad and the cliff-face. When Bord Pleanála turned down Shell’s plan late last year, it ruled that this section should have been submitted for planning approval. However, Mayo County Council maintains officially that it is exempt from planning permission. The controversial section, which Eoin Ó Leidhín, an electronic engineer and member of Rossport Solidarity Camp, described yesterday as “probably the most dangerous part” of the high-pressure link, led to a walkout at last year’s hearing and subsequent clashes between protesters, gardaí and Shell security. Shell E&P Ireland’s senior counsel Esmonde Keane told the hearing that this section was deemed exempt from planning permission, and was laid under consents awarded by the Government in 2002 under the Gas Act. Fr Nallen, along with Belmullet resident and retired teacher Ed Moran and Mr Ó Leidhín, pointed out that questions relating to this section had been raised when Bord Pleanála first opened its hearing in May 2009. “In justice, people living locally need this information,” Fr Nallen told the inspector, Mr Nolan. “At the last oral hearing, you asked us to bear with you,” Fr Nallen continued. “We are still bearing with you . . . and people are suffering in the meantime. We need absolute clarity.” People had been “badly treated by the agents of the State”, Fr Nallen added. In a presentation on behalf of Shell, Ciarán Butler, technical director of RPS Consulting Engineers, said a major objective in the revised environmental impact statement was “to identify a construction method for Sruwaddacon Bay which would not have a significant impact on this designated conservation site whilst at the same time balancing community and project considerations”. He said: “The route is at least 234m from existing dwellings. There is a significantly greater separation distance between existing dwellings and the route now proposed than was in the case with the previously approved route (70m) and the pipeline route proposed in 2009 (140m),” he said. The new route involves boring a tunnel under the estuary, with an external diameter of 4.2m for a 508mm (20 inch) pipe. The new route will avoid lands at Rossport, Mr Butler said. 1996: Corrib gas field discovery 83km off Mayo coast confirmed by Enterprise Energy Ireland. April and May 2002: Development plan for Corrib gas field approved by minister, including construction of gas export pipeline, then exempted from planning, and signs 34 compulsory orders for access to land on the pipeline route. Shell takes over Enterprise Energy Ireland. April 2003: An Bord Pleanála turns down application for onshore terminal at Ballinaboy, Co Mayo, due to health and safety concerns. October 2004: New planning application for Corrib onshore terminal given final approval by planning board. June 29th, 2005: Residents’ concerns over first proposed onshore pipeline route, exempt from planning, lead to jailing of Rossport Five for 94 days. July 30th, 2005: Shell directed to dismantle an illegally constructed 3km section of onshore pipeline. July 2006: Mediation fails to resolve dispute but subsequent report recommends pipeline route be modified to take it away from houses at Rossport. November 2007: Restoration of special area of conservation ordered at Glengad following unauthorised drilling there during investigative work for revised pipeline route. Environmental Protection Agency issues licence for Ballinaboy terminal. February 2009: Shell seeks permission for revised pipeline route avoiding houses in Rossport. May 2009: Bord Pleanála hearing opens. November 2009: Bord Pleanála deems half of modified route unacceptable due to proximity to housing, but gives approval in principle if alterations made. May 31st, 2010: Third route under Sruwaddacon estuary applied for by Corrib gas partners. THE bitter battle over the €3bn Corrib gas discovery resumes today, now hingeing on a new plan to build a giant underwater tunnel to bring the fuel ashore. The alternative route for the pipeline will be outlined at an An Bord Pleanala oral hearing, 10 years after the planning battle began. The planning authority ordered Shell E&P Ltd to redesign the pipeline for a third time and move it away from homes, ruling that it posed an "unacceptable risk". Although the board said the pipeline could still come ashore, it will not be able to pass through land at Rossport, Co Mayo, the subject of a long-running campaign by a group of local residents. Shell wanted to bring the pipeline from the sea and make landfall at Rossport before tunnelling underneath Sruwaddacon Bay and terminating at the Bellanaboy refinery. But An Bord Pleanala upheld concerns by Rossport residents and found that up to half of the route was "unacceptable" on safety grounds because of its proximity to housing. Now, Shell has come up with another route involving a bigger 4.9km tunnel under the bay, which is a protected habitat, bringing it further away from homes. The company has also agreed to reduce the pressure in the onshore part of the pipeline. The nearest occupied house would be 234 metres from the pipeline -- three times the originally proposed distance. The company will be outlining its plans at the hearing in Belmullet, while those opposed to the pipeline will continue to object to the proposal. Shell insists that the the modified route will not present an unacceptable risk to the public and will minimise potential disturbances to environmentally sensitive habitats. The Corrib project is expected to supply Ireland with 60pc of its natural gas needs over a 15- to 20-year period. Retired teacher Vincent McGrath, who was jailed with four other local men in 2005 for flouting a court order, revealed yesterday that community group Pobal Chill Chomain has sent a formal complaint to Environment Minister John Gormley about Shell's preliminary investigative works at Sruwaddacon Bay. The works are the subject of a foreshore licence granted by Mr Gormley. Shell is drilling up to 80 boreholes in the bay as part of these works. Mr McGrath accused Mr Gormley of allowing "a free-for-all" by Shell while cynically stalling on the controversial incinerator project in his own constituency. "Sruwaddacon Bay is a designated SAC and SPA, which in other areas of the country seem to be sacrosanct," he said. A Shell spokeswoman said: "Shell E&P Ireland Limited is as yet unaware of the precise content of the complaint. We will, of course, respond to any issues raised when informed of their substance by the relevant authority or department." A Department of the Environment spokesman confirmed the complaint was being investigated, but that some matters raised were not within its remit. THE National Roads Authority (NRA) has hit out at accusations it is building "ghost" motorways. Heritage body An Taisce claimed there had been "chronic misspending" on motorways at a time when there were 22,000 fewer drivers on Irish roads. It said the NRA was using seven-year-old data predicting traffic growth of up to 3pc annually, even though traffic had fallen by 7pc in the past two years. In a statement, An Taisce claimed the new network of motorways would become "ghost roads" as oil prices rose and traffic fell even further. "The NRA's proposals for 850km of additional motorway is a charter for gross misspending," it said. "What Ireland needs is a proper national public transport plan, not legacy projects left over from a boom time." However, NRA director of corporate affairs Michael Egan dismissed the criticism and said the authority was building a roads network for 20 years ahead. "Take the old Dublin Cork road. If that upgrade had not happened there would have been chaos," he said. "And the M50 was regarded as the biggest car park in Europe as it had reached saturation point." Mr Egan dismissed claims the NRA was using out-of-date projections for traffic. He said traffic figures were on the NRA website and there for anyone to see. "We are completely open about this data," he added. RECENT COVERAGE of “ghost estates” has again raised the question of the extent to which our planning system contributed to the problem. What is it that our planning system should ideally seek to achieve? How healthy and robust was our planning structure before and during the boom years? These are important considerations in any such debate. That the purpose of planning is to achieve the “common good” has rightly been enshrined in our planning legislation since the 1960s. However, by the mid-1990s, some 30 years after the introduction of planning legislation, the planning system simply was not ready for the Celtic Tiger. 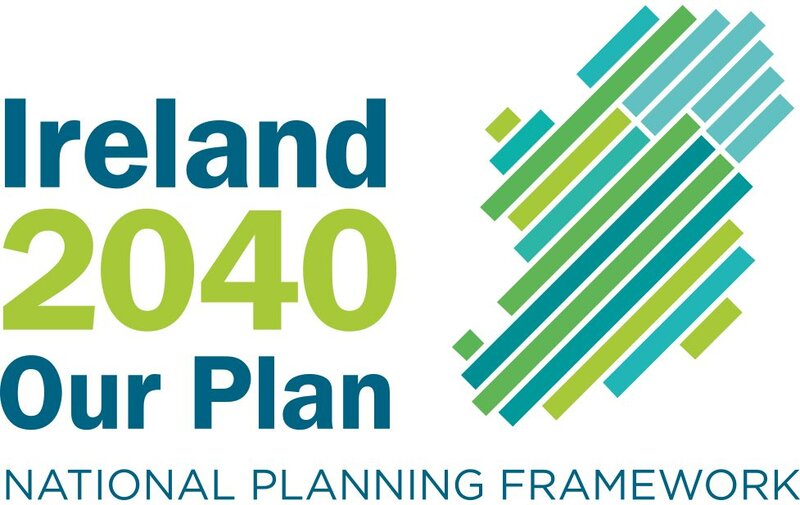 There were no proper strategic national or regional planning frameworks in place, many county and city development plans were out of date, and there were fewer than 200 professional planners employed in our local authorities. While staffing levels increased significantly from the late 1990s onwards, it only barely kept pace with the extraordinary growth in planning applications. A study by the Irish Planning Institute in 2007 showed that at that time, 70 per cent of planners were engaged in the assessment of planning applications, with only 25 per cent working in forward planning and 5 per cent in enforcement. It is disappointing that some commentators have sought to scapegoat planners, particularly in relation to “ghost estates”. Much of the excessive or inappropriate zoning was done against professional planning advice. The planning profession also repeatedly warned that our planning system was not sufficiently “plan-led”. Our planning legislation was simply too weak to deliver this. The damage caused by a lack of joined-up thinking by government in relation to inappropriate tax incentives, a decentralisation strategy that ran contrary to the National Spatial Strategy and an over-reliance on construction- related tax revenues have already been well documented. We all agree it is time to move forward. But what should that involve? Firstly, we must deal with legacy issues such as unfinished developments. The quantification of the problem county by county must be followed by dealing with each development on a case-by-case basis. A “one-size-fits-all” approach will not work. Banks, including Nama, which now own these developments, must put people before profit – particularly in the worst cases where there are obvious threats to health and safety. It is clear that additional resources will also have to be provided to local authorities to deal with the issue. Looking to the future, we must finally have a more “plan-led” system. In this respect, the Planning Development (Amendment) Act 2010 is to be broadly welcomed. The new “core strategy” provision will for the first time make it compulsory for development plans to be consistent with national and regional planning policies. The promised “refresh” of the National Spatial Strategy due next month should be presented for comment and should not be considered a fait accompli. A formal training process on planning for our councillors needs to be put in place, as policymaking has become increasingly complex. The proposal contained in the report of the Local Government Efficiency Review Group to cut the numbers of planners in local authorities must be reconsidered, as it fails to heed the lessons of the past. It also does not recognise the demands of the new Planning Act, or that surplus staff from the reduction in planning applications have already been reassigned to the increasingly complex and demanding areas of forward planning, economic development and enforcement. The continued absence of comprehensive and co-ordinated research on planning matters must be addressed. Local communities must engage to a greater degree in the making of development plans for their areas. The innovative idea of Minister for Planning Ciarán Cuffe to include children in the public consultation process for the first time might perhaps help bring the adults with them. There is much to be done. For too long there has been a narrow view that planning is merely about permission and zoning. We have mainly suffered from a lack of planning, rather than bad planning. For too long the tail wagged the dog. We all have a role in planning a better future. Gordon Daly is the newly elected president of the Irish Planning Institute. WORK HAS begun on a project to cover over the Dart line, install semi-mature trees and improve pedestrian access between Dún Laoghaire’s town and harbour. Part of an overall upgrade to “the metals” walkway, Crofton Road and Marine Road, the Dart line is to be covered, ending a traditional disconnect between the Pavilion area and the harbour. The plan is to create a new walkway over the Dart which currently travels through a cutting south of the railway station. The intention is to define the metals as a place for pedestrians and cyclists by creating new café terraces, paths, sitting areas and a small play space. A new footpath along Queen’s Road and additional crossing points have been designed to integrate the scheme into the surrounding area. A pedestrian crossing at the entrance to the Pavilion car park is to further enhance pedestrian links to the the metals and a proposed county library in Moran Park. The design provides for landscaping with trees, lighting and umbrellas along the length of the Pavilion. Outside Meadows and Byrne furniture shop, a new public space with a kiosk and public seating is proposed. It is anticipated that this approach will create more shelter from the wind and will create a park ambience that reinforces the experience of the metals as a place to sit and relax, to enjoy coffee and food. At Marine Road, it is proposed to create a tree-lined avenue leading up the hill to George’s Street. Pavements will be widened, crossing points will be more defined and new public lighting will create a “line of light” linking the harbour to the town. Further trees will be installed on Crofton Road while a new pedestrian link through the harbour yard and the Old School House site will provide access to Sussex Street. Enhanced facilities for cyclists are also planned with additional racks located throughout the scheme. Minister of State with Responsibility for Planning Ciarán Cuffe said it was “vital that we create an inviting atmosphere for people arriving by Dart or ferry and help promote the local economy. He said many of the planned improvements reflected the views of local residents and business people, as expressed at the Vision for Dún Laoghaire forum he chaired in July. TWO 18TH-CENTURY artisan cottages which were originally homes for employees of the Slane Castle estate in Co Meath were yesterday given to Meath County Council by Lord Henry Mountcharles. The buildings, on a lane just a few metres from the main street in the village, have been vacant for many years and will require total refurbishment by the council, which plans to use them as a tourism and heritage centre. This year marks the 250th anniversary of Slane as a village and Lord Mountcharles said he thought it was the right time, “to kick-start the rehabilitation of Slane, which is a village of enormous historical importance”. With the opening of the Brú na Boinne centre, through which all visitors to Newgrange, Dowth and Knowth must pass and which is on the opposite side of the Boyne river to Slane, villagers said they had lost tourists and revenue. Lord Mountcharles said, “at the time I was concerned about how the centre would damage the economy of Slane and I accused John Bruton [then taoiseach] of economic vandalism”. He was trying to “revitalise Slane as a tourist destination”. There has been no public scrutiny of the costs for planning and running the Poolbeg incinerator, write JOE MCCARTHY and VALERIE JENNINGS. THE DEAL struck between Dublin City Council and Covanta for the Poolbeg incinerator is a closely guarded secret so the public has been unable to judge the value for money in this project. We know from two previous mistakes – e-voting machines and the Westlink toll bridge – that the public has lost millions through bad deals struck by public servants making poorly-informed decisions. There has been no public scrutiny of the costs for planning, building and running this incinerator. In 2007, without reopening the public procurement process, Dublin City Council brought Covanta into this public/private partnership (PPP) when the original consortium of DONG/Elsam withdrew. The council went ahead with an extraordinary contract with Covanta which commits the city to decades of payments whether or not the waste is actually available. The private operator in a PPP is supposed to bear the risk, but in this case the council has removed the risk by giving financial certainty to Covanta via the 25-year municipal contract at a fixed gate fee for 320,000 tonnes per annum. Thus the people of Dublin are carrying the risk, not Covanta. We have asked the council at open days, at the Environmental Protection Agency (EPA) and Bórd Pleanála oral hearings and via Freedom of Information requests for details of the original financial model and for details of the contract costings but the council refuses to divulge any details on the basis of commercial confidentiality. Therefore the figures used in this article are our best estimates based on information that is in the public domain and our extrapolations. We would be happy to revise our calculations if Dublin City Council would reveal their actual figures. Because we do not have details of the “put or pay” contract between the council and Covanta we have estimated a gate fee of €80 per tonne (this estimate is based on figures presented to the oral hearings). At €80 per tonne Covanta would be guaranteed €25.6 million per annum for the first 320,000 tonnes. This revenue is more than enough to make a profit for Covanta. On the same basis, we estimate the likely penalties for the city council not meeting the “put or pay” clause to be in the order of €14.4 million per annum. Because the plant is oversized at 600,000 tonnes Covanta will be free to offer the excess capacity at any marginal price it chooses. This could lead to undercutting of other operators. Recycling and mechanical biological treatment (MBT), which are more environmentally friendly disposal methods, would be undermined. This has already happened in US cities where Covanta is operating. A presentation by Covanta to the Welsh government released under FoI reveals an offer by Covanta to operate a 600,000 tonne incinerator just like Poolbeg for a gate fee of £45 (€53) per tonne. An agreement signed in the US by Elbert County, Georgia, which names Covanta as operator of a planned incinerator the same size as Poolbeg, has a gate fee of just $25 (€20) per tonne. Why has Dublin City Council apparently committed to a gate fee which is 50 per cent more expensive than the offer in Wales and four times the cost in Georgia? The additional income to Covanta would be €8.64 million annually over the Welsh price or €19.2 million over the US price. Then there is the question of revenue from the sale of electricity. We estimate the electricity revenue from burning 320,000 tonnes to be €11.5 million annually and Covanta generally retains energy revenues from tip-fee type contracts, although again we don’t know what revenue sharing is agreed for Dublin. Covanta’s extra income in Dublin, compared to Wales and the US, therefore appears to be between €20 million and €30 million annually. Over the 25 years of the contract Covanta could take between €500 million and €750 million in extra income in Dublin. This is an astonishing amount of money. Cui bono? Certainly not the citizens of Dublin. We begin to see why US big business is leaning so heavily on the Irish authorities to get this project going before too many awkward questions are asked. Incineration was selected in 1997 based on a flawed analysis. The margin by which incineration was chosen over MBT was just 19 per cent but several costs were omitted, including the cost of the land, the cost of disposing of ash and the cost of CO2 emissions. The incinerator will produce mountains of bottom ash – 150,000 tonnes every year – and the city council proposed to export this ash from Poolbeg by ship for “recycling” in the UK or Denmark. The cost of transporting the bottom ash was omitted from the original analysis. The impact of handling and disposing of the bottom ash was excluded from both the Bórd Pleanála and EPA hearings. If, as is likely, the bottom ash is to go to the new landfill at Nevitt in north Co Dublin the planning permission will have to be “rectified”, according to former assistant city manager Matt Twomey. Bottom ash is an active material because of the heavy metal content and will need a waste licence before being exported or being dumped in landfill. The ash needs to be cured by allowing it to sit for weeks in the air before it can be tested for hazardous classification. The costs of the ash handling, transport and land for curing have also been omitted. The original analysis omitted the cost of disposal of fly ash which is toxic and needs specialised handling and disposal, usually in salt mines in Germany. Again the cost of transport was omitted. The cost of the large quantities of CO2 produced by the incinerator was also omitted. When all these costs are taken into account MBT is actually cheaper than incineration. Dublin City Council is spinning about the likelihood of large fines. Fines for breaching the EU landfill directive have not been imposed anywhere and are unlikely to arise in Ireland. This is because the MBT plants already in operation suggest the 2010 target will be met. EPA guidelines on source segregation and regulations requiring the composting of food waste will help the country meet the targets for future years. If the Dublin region had a number of smaller MBT plants there would be less distance for trucks to transport the waste, more jobs and more competition in the marketplace. This would provide better value for the residents and businesses of Dublin than one enormous incinerator monopolising the waste market. It would also mean that Dublin would not be stuck with an inflexible contract for 25 years, restricting any innovation in waste management. This project was intentionally split into pieces, each requiring approval from a different authority. There is no proper cost benefit analysis for the overall project. E-voting and Westlink turned out to be extremely costly to the Irish taxpayer. They were undertaken by the authorities without proper scrutiny of the costs – €60 million in the case of e-voting and €600 million to buy out the Westlink toll bridge. We need an opportunity to discuss the value for money of the proposed incinerator and the enormous costs and profits associated with it. It is time for an independent, open inquiry into how this project came about, what the costs have been and what the financial consequences will be for Dublin’s citizens. Joe McCarthy and Valerie Jennings are residents of Sandymount, Dublin. They previously campaigned successfully against the e-voting project. THE DEPARTMENT of the Environment is sending a senior engineer to north Mayo to investigate a complaint about Shell EP Ireland’s preliminary survey work on its proposed new Corrib gas pipeline route. The department’s investigation into aspects of Shell’s geological testing work in Sruwaddacon estuary has been confirmed on the eve of An Bord Pleanála’s resumed oral hearing into actual State approval for the revised route. The hearing opens in Belmullet this morning almost 10 months after An Bord Pleanála turned down permission for a previous route option, as up to half of it was “unacceptable” on safety grounds due to proximity to housing. The Department of the Environment told The Irish Times yesterday it was investigating a complaint received from community group Pobal Chill Chomáin. Earlier this year, Minister for the Environment John Gormley approved a foreshore licence for the investigative work by Shell in the Sruwaddacon estuary special area of conservation. Pobal Chill Chomáin told the department the number of water-borne craft used by Shell contractors for investigative work “regularly” exceeds the number cited in the company’s foreshore licence application – as do the numbers on board the vessels, it says. It cites an incident on August 14th when a group of dolphins swam into Broadhaven bay, which Sruwaddacon estuary enters, and was “subjected to a barrage of Shell boats that constantly travelled between Rossport and Ballyglass”. The resumed An Bord Pleanála oral hearing opening today is due to hear a revised application for the Sruwaddacon estuary route for the pipeline, which would avoid Rossport village and involve tunnelling through the waterway from the Glengad landfall. Shell says the pipeline will be 508mm or 20 inches in diameter, running through a bored tunnel of 4.2 metres in external diameter. The company has been reported as stating the tunnel option could delay the project by another year and cost an additional €100 million. Some 49 submissions will be heard, including one lodged on behalf of 320 residents. Submissions have also been lodged by two priests – Fr Michael Nallen of Aughoose and Fr Kevin Hegarty of Kilmore-Erris – with bodies including Pobal Chill Chomáin, Pro-Gas Mayo, Rossport Solidarity Camp, Chambers Ireland, the Irish Offshore Operators Association and the board of management of Pollathomas National School. AN TAISCE has called on the National Roads Authority (NRA) to stop using “false data” showing continual traffic growth to justify its major roads programme when its own figures show that traffic levels are actually falling. The figures for 90 stretches of motorway and other national roads were abstracted by An Taisce from the authority’s traffic counts, which are publicly available on the authority’s website (www.nra.ie), and cover the period 2007 to 2010. Yet the authority was still using a “wildly inaccurate” traffic growth multiplier dating back to August 2003, which assumed that traffic would continue to grow by 2 to 3 per cent annually “year after year” to defend its plans for some 850km of new roads. An NRA spokesman conceded that traffic “has declined since the recession began”, but said the roads in its programme were “designed for a 20- to 30-year economic benefit . . . with the best available data”. An Taisce said Bord Pleanála had refused planning permission for an “over-scaled” scheme in Co Mayo for 19km of dual-carriageway between Bohola and Ballina and called for a “more modest” proposal “because the NRA failed to justify the project on traffic grounds”. It said over the past year 22,000 households had shed at least one car, based on the number of vehicles taxed at the end of 2009. “As oil becomes a comparatively greater cost burden, more people will be looking to buses, trains and shared cars. The volume of traffic on Irish roads was likely to fall even further, according to An Taisce, which warned that the prospect of building “ghost roads” based on erroneous NRA projections “is very real as time nears to sign contracts on a number of routes”. These motorway/dual-carriageway schemes include a south Wexford motorway and new routes from Blarney in Cork to Patrickswell, Co Limerick; Gort to Tuam, Co Galway; Clontibret, Co Monaghan, to Aughnacloy, Co Tyrone; and Ashbourne, Co Meath, to Ardee, Co Louth. “When will the NRA stop using false projections to make it appear more motorways are needed?” An Taisce asked, saying 850km of new roads were “a charter for gross misspending” when what Ireland needed was a national public transport plan, “not legacy projects . . . from a boom time”. It claimed the NRA was proposing to borrow “close to €9 billion” for its roads programme. It said projections from the US “show that total vehicle distance travelled may contract sharply in coming years, up to 41 per cent by 2030 according to one assessment” (by Bomford this year). An Bord Pleanála’s resumed oral hearing into State approval for the proposed new Corrib gas pipeline route opens in Belmullet, Co Mayo, this morning. It comes almost 10 months after An Bord Pleanála turned down permission for a previous route option, as up to half of it was “unacceptable” on safety grounds due to proximity to housing. The Department of the Environment is sending a senior engineer to north Mayo to investigate a complaint about Shell EP Ireland’s preliminary survey work on its proposed new Corrib gas pipeline route. The department’s investigation into aspects of Shell’s geological testing work in Sruwaddacon estuary was confirmed on the eve of the resumed oral hearing. The resumed oral hearing is due to hear a revised application for the Sruwaddacon estuary route for the pipeline, which would avoid Rossport village and involve tunnelling through the waterway from the Glengad landfall. Protect East Wall forwarded the following press release in respect of DART Underground. A future underground promises a comfortable ride for future passengers, but for East Wall the delivery of this project means an extremely noisy, vibrating, dust-filled 9 year ride - with not even a station provided by way of thanks. Today the East Wall community voiced its objections to this project with over 70 individual submissions to An Bord Pleanála. These submissions highlight how, at East Wall, the effects of this project will be long lasting and have devastating consequences for the community’s residents. Issues of main concern relate to air pollution, access, noise, vibrations and a constant stream of traffic carrying over a million cubic metres of spoil through a quiet and settled community with many older residents. The unfairness of this proposal and lack of consideration for East Wall has galvanised the whole community to action. The Protect East Wall submission has outlined many weaknesses and omissions in the Iarnród Eireann proposal. Initially, the proposal envisaged tunnelling to commence at both East Wall and Inchicore; however, following an intense media campaign from ‘Inchicore on Track’ before the publication of the railway order, this proposal was overturned and perversely, tunnelling will now only be carried out only at East Wall. The residents of East Wall cannot understand why this decision was made. East Wall, a vibrant and settled community should not have to bear the full impact of tunnelling and construction works which will negatively impact on a whole generation of East Wallers! CLARE COUNTY Council has given the go-ahead for construction of the largest community-owned wind farm development in Ireland. However, the project must now wait for a grid offer from the national grid, which could take several years. The €200 million project will see West Clare Renewable Energy build 28 wind turbines on a slope at Mount Callan between Ennis and Miltown Malbay. The original application sought permission to erect 31 turbines. The initiative will generate enough power to cover every home and business in Co Clare. Construction of the project will generate up to 300 jobs. The wind farm will be located on 3,000 acres owned by 30 farm families, who have a majority stake in the company, which also includes planning and energy experts. The project, which will cut carbon emissions by 4.4 million tonnes of carbon over its lifetime, will also meet the Limerick Clare Energy Agency’s 2010 targets for emissions reductions and renewable energy production. “Mount Callan offered the perfect combination of wind resource, transmission lines and available land for wind farms,” said the company’s chairman Padraig Howard. The project is said to be the largest of its kind in Clare since the development of the Ardnacrusha power station. Mr Howard said the landowners have also invested financially in the company, and it is hoped that local investors would come on board to fund the project when construction begins. He said this could begin next year if an offer from the national grid to connect to it was forthcoming. The site is less than a kilometre from the national grid. “Unlike other areas, there is no new transmission lines to be built to service this wind farm; it’s already in existence, but we still can’t connect to it. That’s really the only stumbling block at the moment. The project could be subject to an appeal. Not everyone in the local area was behind the wind farm, with a number of objections lodged to the application. Some of these dealt with the proximity of the turbines to homes. Renewable energy could bring a significant jobs boost to the county, and fits in with the Government’s predictions that up to 80,000 jobs could be created by the “green economy” by 2020. Members of the local community would be offered preference for the jobs in both construction and at the wind farm once it was operational, the company said. Landowner John Talty said there was a sense of optimism about the wind farm. “We would like to build on this decision to attract spin-off investment into towns such as Miltown Malbay, Ennistymon, Kilrush and Ennis. A CAMPAIGN has been launched in Co Monaghan against plans for a new dual carriageway to replace the N2, from Clontibret to the Border at Aughnacloy, Co Tyrone. The new road would replace the existing Monaghan bypass, which was opened just four years ago. None of the route options being examined by Monaghan County Council and the National Roads Authority (NRA) incorporates the bypass, built at a cost of €26 million, or other large sections of the existing N2 that were also improved in recent years. The proposed 25km route, which is the subject of public consultation, would link up with a new A5 dual-carriageway between Aughnacloy and Derry for which the Government has pledged to contribute £400 million (€487 million). A spokesman for the NRA, for which the county council is acting as agent, said the new N2 was “part of a cross-Border initiative with the Northern Ireland Roads Service” to improve links between Dublin and Derry. “We’re looking to incorporate a bunch of little road schemes into one big one”. Noel Murphy, spokesman for the Don’t Bypass the Bypass campaign, said the pledge had been made in 2007 “at a time when we thought we were flush with money” and needed to be reviewed in the light of changed economic circumstances. “The proposed stretch of road [in Co Monaghan] will carve through complicated drumlin country, costing up to €12 million per kilometre – a total of €300 million,” he said. Mr Murphy said large sections of the N2 had recently undergone major road improvements, with towns along the route bypassed. This included the “brand new” 3km Monaghan bypass completed in 2006 and 13km of “excellent quality highway” in the county. “The remaining 14km section between Monaghan and Aughnacloy was granted planning permission in 2004 and substantial consultancy work has been carried out on this proposed roadway, which was expected to cost €50 million [and] now seems to be shelved. Mr Murphy, whose family home is located in one of the route corridors being studied, said the latest plan “is being advanced at a vigorous pace by the Monaghan County Council and Grontmij consulting engineers despite the fact that the country is in the depth of a recession”. He claimed that there had been no real communication or consultation with landowners, householders and businesses that may be affected by the plan. “Some farmers will lose homes and farm buildings that have been farmed by the family for generations,” he said. Inadequate time had been given to the general public to make informed submissions on the route options being studied, which did not include upgrading the existing N2 route, but Mr Murphy said public pressure had resulted in the closing date being extended to August 31st. The NRA spokesman said three public meetings were held last year and a consultation last month in Monaghan town on route corridor options, which 348 people attended. A further round of consultations would take place after a “preferred route” was chosen later this year. The proposed road “will proceed because it is strategically important. It is not something that should be done based on a whim or just as an optional extra. It is important that it be completed and there shall be no more about it as far as I am concerned”, he added. THOUSANDS OF commuters with multiple-trip tickets for Dublin Bus and Iarnród Éireann services in the capital are being issued with two separate “smartcards”, rather than one, because the CIÉ subsidiaries have different microchip-reading machines. And both are incompatible with the Luas smartcard, despite numerous promises over the years – and an investment of €50 million, so far – that Dublin would soon have integrated ticketing for all public transport services, along the lines of London’s Oyster card. Veolia Transport, which operates Luas on behalf of the Railway Procurement Agency (RPA), was the first to introduce a smartcard in 2005. Dublin Bus followed in 2008 by issuing multi-trip tickets with magnetic strips, as a “precursor” to smartcard technology. Iarnród Éireann is now catching up, with a slightly thinner smartcard that won’t work on either Luas or Dublin Bus services. Spokesmen for the agency and the two CIÉ subsidiaries have all insisted this was the plan all along – calling it an “interim measure”. Dublin Bus has begun notifying customers that all Dublin area annual bus and rail tickets with magnetic strips are being replaced with smartcards. The older technology “can result in both ticket corruption and failure”. Dawn Bailey, Dublin Bus marketing and sales manager, noted Iarnród Éireann was issuing smartcards and said “both cards must be carried together at all times” for those using both services. The bus company’s spokesman said its smartcard was “developed with the agreement of the Integrated Ticketing Project Board, which is overseeing the introduction of the multi-operator integrated ticketing scheme for the Greater Dublin Area”. He said Dublin Bus “envisaged that the majority or all of our existing smartcard products will transfer onto the one integrated card scheme when it is launched” some time next year. Initially, it will apply to bus and Luas services, then to Dart and suburban rail. He said the Luas smartcard, issued jointly with private bus operator Morton’s, had been bought by 60,000 customers. It is cheaper than regular fares, and avoids the need to use ticket machines. The Iarnród Éireann spokesman described the issuing of different smartcards as “an interim means of doing it until a fully integrated card comes in”. Despite their incompatibility, he said the new rail and bus smartcards – costing €1,190 annually – would be easier to use. A FINE Gael TD who called recently for measures to prevent the widespread closure of pubs in rural Ireland has been accused of “blatant hypocrisy” by a neighbour who runs a pub in his hometown in Co Roscommon. Colman Byrne, owner of the Lir Cafe Bar at Market Street, Ballaghaderreen, criticised John O’Mahony TD for objecting to the proposed extension of his family-run premises, a popular late bar and entertainment venue. Mr O’Mahony received widespread media coverage some months ago when he highlighted the fact that rural pubs were closing down at a rate of almost one a day. Stressing the opportunities that rural pubs provided for social contact, Mr O’Mahony proposed rural pubs that ran buses for their customers should be exempt from vehicle registration tax for these buses. Mr Byrne, whose premises are just across the road from Mr O’Mahony’s family residence, issued a strongly worded statement claiming the TD had put 20 jobs at risk by his objection. Last February Roscommon County Council refused planning permission for the extension. Among the reasons given were that the site was in an area zoned residential in the county development plan. The proposal would also endanger public safety by reason of traffic hazard as the access road from the car park to the N5 was too narrow to safely accommodate pedestrians and traffic, council planners said. “Surely in these recessionary times the role of a public representative is to support local businesses,” Mr Byrne said yesterday. But Mr O’Mahony rejected the suggestion that he or the other objectors were to blame for the refusal. He pointed out the council’s refusal had to do with the residential zoning of the area and concerns about traffic. “I have a clear conscience on this . . . From my point of view I am totally supportive of businesses that operate within the regulations,” he said. Mr Byrne intends lodging a fresh application for planning permission with the council. A PLAN to build an international airport in Co Offaly has cleared the first hurdle after a decision by An Bord Pleanála to grant it “strategic infrastructure” status. The decision means the developers of the proposed airport at Tubber will be able to apply directly to the planning board and will not have to submit an initial application to the local authorities. The planned €200 million development, 20km east of Athlone and 80km west of Dublin, is a private initiative led by Tullamore-based architect, Patrick Little. The 640-hectare site is in an area that An Bord Pleanála described as “lightly populated” and “relatively level” and is 640 hectares in area. Mr Little said he had secured the backing of eight investors, and their financial commitment to fund the project was “pretty firm”. The project does not have any State funding and the Department of Transport said it had “no plans to support the development of any new airports”. In a statement yesterday, the department said its policy was that private individuals could develop airports in “whatever location they wished”, provided they met standards set down by the Irish Aviation Authority and secured planning permission. It added, however, that “the financial demands of running an airport are very challenging and it is, of course, a matter for airport promoters to satisfy themselves that a new airport can function as a viable commercial entity”. Mr Little said the backers were “keen to see that the midlands will benefit from its gateway status and develop in a sustainable way”. The airport would be situated close to the M6 motorway, and the project includes the construction of a railway linking it to the Dublin-Galway mainline rail route. Mr Little said he had been in consultation with Iarnród Éireann and the company was “excited” about the application. Travel time from Dublin to the new airport would be 65 minutes by road, and 45 minutes by train. The project would cater for both passenger traffic and commercial cargo traffic. The developers estimate the airport would cater to two million passengers a year by 2020. Aer Lingus declined to say if it would operate from the airport. Mr Little expects to submit a planning application within the next eight months. An Bord Pleanála will hold oral hearings before deciding whether to grant permission. Mr Little said he was confident the project would get permission, that construction would commence within the next 12 months and that the airport would be open at the end of 2013. THE CONTROVERSIAL Poolbeg incinerator project is set to face further delays and costs following a decision by Dublin City Council to compulsorily purchase 65 plots of land along the coastline. The council has been asked by Covanta, the company developing the incinerator, to buy the land because it has not yet received a foreshore licence from Minister for the Environment John Gormley. Assistant city manager Séamus Lyons yesterday said the council had to resort to buying up the land because the “considerable delays” in securing a foreshore licence were “hindering progress on construction of the plant”. The foreshore licence, which would allow the company use water from the river Liffey for a cooling system for the 600,000 tonne capacity incinerator, was applied for in August 2008. Construction of the incinerator began last December but has been suspended since May because, Covanta has said, of the lack of a foreshore licence. By making a Compulsory Purchase Order (CPO) for the 1.7 square kilometres needed for the cooling facility, the council can by-pass Mr Gormley, who is opposed to the development of the incinerator. The council must seek permission from An Bord Pleanála to execute the orders on each of the 65 sites involved. If the owners, lessees or occupiers of any of the sites object to the order An Bord Pleanála could decide to hold a public hearing on the proposal, which would lead to further delays. Mr Lyons conceded that these delays could be considerable, but said at least An Bord Pleanála could be relied on to eventually make a decision. “Given that the application for the foreshore licence has been with government departments for two years Covanta have formally requested the council to use its powers in applying for a CPO. The council was not withdrawing the application for the licence, Mr Lyons said, and if it was granted first, the CPO process would not be further pursued. Covanta will bear the cost of buying the 1.7sq km of land. It is not yet known how much this will cost as this will depend on the offer and negotiation process. It will also depend on who owns the land. The council said it was largely in the ownership of Dublin Port Company. The port company said yesterday that it owns none of it. None of the land is residential, but some plots are sections of access roads to industrial sites and others are public footpaths. A spokesman for the Department of the Environment said the Minister has not been deliberately delaying the foreshore licence application. Responsibility for the licences was only transferred to the Minister last January he said, and there was a backlog of 700 applications. An Bord Pleanála's decision to approve plans for a €200 million commercial development in Arklow has been welcomed in the Co Wicklow town, writes Mark Kennedy . Objections had stalled developer Graham Quinn's plans for shops, offices, 100 apartments, a 77-bed hotel and an open amphitheatre in the town centre for more than four years. One of the grounds for objection was that the development could interfere with the habitat of bats in the ruins of Ormonde Castle. Councillor Nicky Kelly said: "This development is badly needed in Arklow where the town centre has suffered much commercial devastation over recent years." RESIDENTS GROUPS in Ringsend and Sandymount are to lodge objections with An Bord Pleanála against Dublin City Council’s plans to buy public land to facilitate the Poolbeg incinerator. The council is planning to compulsory purchase 65 plots of land along the shoreline near the incinerator site to develop a water cooling facility for the 600,000 tonne capacity incinerator. However local residents said the compulsory purchase order (CPO) takes in public footpaths and roads and could cut their access to Shelly Banks beach. Representatives of private waste companies are calling for An Bord Pleanála to hold a public hearing on the council’s application. Covanta, the company building the incinerator, asked the council to buy the land so that it does not have to wait for Minister for the Environment John Gormley to grant a foreshore licence to use water from the river Liffey for a cooling system for the plant. An application for the foreshore licence was made in 2008. A spokesman for the Department of the Environment said responsibility for foreshore licences was only transferred to the Minister last January and there was a backlog of 700 applications. The Poolbeg application would be dealt with in due course he said. However assistant city manager Séamus Lyons said the delay in securing the licence was “hindering progress on construction of the plant”. A spokeswoman for the council said it had no intention of blocking the public right of way. Environmental campaigners want the 'full weight of the law' to be brought to bear following the destruction of two ancient ring forts. Friends of the Irish Environment (FIE) have written to Environment Minister John Gormley calling for prosecutions to follow the recent destruction of two north Cork ring forts - fortified settlements with raised walls of stone or banks of earth. The group says it has confirmed with the Heritage Service of Cork County Council that the two listed ring forts were levelled. A spokesman for the environmental group said gardaí visited the site because of the the failure of an individual to notify the intention to work under the National Monuments Act. "There remain elements who believe they can destroy these sites at will because of the historic lack of enforcement. The full weight of the law must be brought to bear in this case. The message must go out across Ireland that (this) will not be tolerated and the national heritage will be protected." It is understood that archaeologists from the Department of the Environment's National Monuments section are liaising with gardaí in north Cork as part of the investigation. Ring forts were built and occupied between circa 400 AD and 1200 AD. About 35,000 ring fort sites are identifiable in Ireland today. Only about 250 have been archaeologically investigated. IRISH Rail's safety record has been castigated in a damning report into the collapse of a railway viaduct into the sea just moments after a train passed over it. An independent inquiry into the collapse on August 21 last year has found that Iarnrod Eireann was warned in 1997 that the structure on the Dublin-Belfast mainline in Malahide was not safe, but had failed to act. And it said that the company was warned in a series of safety reviews issued over a decade that structures running over water had to be checked for 'scour', a type of erosion caused by tidal movements. The report from the independent Railway Accident Investigation Unit (RAIU) also criticised safety watchdog the Railway Safety Commission for not ensuring that Iarnrod Eireann put in place a plan to identify and tackle scour, which caused the viaduct collapse. * Scouring was identified on the viaduct in 1997, with inspectors noting that the rock armour used to strengthen the structure was 'too light for the job'. * The rail company had not developed a scour management plan at the time of the accident, despite it being recommended in 2001 and 2006. * The Railway Safety Commission "closed" or dispensed with this recommendation in 2008. Closure of a recommendation meant it was no longer deemed necessary, or was deemed to have been done. * Engineers were not appropriately trained for inspections. * A training course undertaken was supposed to last for three days, but was cut to one and a half. At around 6.20pm on August 21 last, Pier 4 of the Malahide Viaduct collapsed into the Broadmeadow Estuary, minutes after a train carrying up to 50 people from Balbriggan to Pearse Station crossed. There were no fatalities or injuries. Transport Minister Noel Dempsey said: "This is an important report into a very serious event. "Thankfully, due to the speedy actions of the train driver on that day and the effective operation of all post-accident procedures, there were no fatalities or injuries to any members of the public or staff. "However, this report gives a detailed and worrying account of the inadequate maintenance and inspection regime in Iarnrod Eireann of recent years which failed to safeguard the viaduct structure from the impact of scour and erosion." According to the report, "The immediate cause of the collapse of Pier 4 was as a result of the undermining of the weir that surrounds and supports Pier 4 through the action of scouring." An inspection carried out three days before the accident, after concerns were raised by the Malahide Sea Scouts, did not identify the scouring defects "visible at the time". "Contributory" factors included a lack of training for engineers, the lack of a formal inspection regime, and an "unrealistic requirement" to carry out annual checks. The report contains 15 recommendations. Iarnrod Eireann said all were being implemented, adding: "We sincerely regret those issues . . . that led to this accident on August 21, 2009, and apologise to customers, who experienced significant disruption to services as a result," it said. ENVIRONMENT Minister John Gormley was handed a humiliating defeat last night in a long-running battle to stop construction of an incinerator in his constituency. In a dramatic move, Dublin City Council said it was tired of his delaying tactics and issued a compulsory purchase order (CPO) to buy 2.5 acres of land to build the Poolbeg plant, completely removing him from the picture. Mr Gormley was required to approve a foreshore licence to allow construction of a water cooling system needed for the €200m treatment facility. But by seeking to buy the land, the council will not need the licence. It means there is no legal impediment to construction and works could begin before the end of the year. The move came after the council's joint venture partner, US company Covanta Energy, asked the local authority to "get the ball rolling". "It's an indication of the frustration," a source said. "There's a strong view about how the matter (of the licence) has been handled." The company suggested it could sue for breach of contract if the plant did not go ahead. Around 600 construction jobs are promised and 60 full-time posts when it is completed. It also follows the intervention of US ambassador Dan Rooney, who became involved in moves to stop Mr Gormley blocking the scheme. It will come as a blow to the minister, who has repeatedly opposed construction, saying it is too big for the city's needs. Sources close to Mr Gormley said the move was not unexpected, as the council had indicated it might circumvent the foreshore licence process. But the council was slammed by opponents of the plant last night, with Fine Gael TD Lucinda Creighton accusing it of trying to "force the minister's hand". And the group representing private waste operators, the Irish Waste Management Association, accused the local authority of arrogance. "Dublin City Council is behaving in an exceptionally arrogant manner," spokesman Brendan Keane said. "It continues to plough ahead with the construction of a grossly oversized incinerator which will be bad for taxpayers and bad for employment." The council, headed up by city manager John Tierney, has been determined to pursue its incinerator plan. In February, Mr Tierney wondered "why the project is being subjected to so many obstacles and why attempts are being made to penalise the Dublin local authorities for implementing government policy". The council first lodged an application for a foreshore licence two years ago and until it was issued the project could not proceed. The paperwork has been sitting on the minister's desk for months, but no decision has emerged. But in a clear snub to the minister, Dublin City Council said it took the move because of "considerable delays" that were "hindering progress". "Due to delays in obtaining a foreshore licence, Dublin City Council has published its intention to acquire the required lands on the foreshore at Poolbeg Peninsula by CPO," assistant city manager Seamus Lyons said. "We have taken the decision on foot of a request by our project partners, Covanta, due to considerable delays. This delay is hindering progress on construction of the plant. By acquiring the relevant section of foreshore through a CPO, Covanta will be able to progress construction of the Dublin Waste to Energy plant." The development means there is no legal barrier to construction of the 600,000-tonne capacity plant going ahead. It has planning permission from An Bord Pleanala, a waste licence from the Environmental Protection Agency, permission from the Commission for Energy Regulation to generate energy and was approved by the Department of the Environment. A spokesman for the department said Mr Gormley could not comment on the move as he was precluded from doing so under the planning acts. But he said the taxpayer could be "massively exposed" to penalty payments if it goes ahead. "This begets the lie that the minister was delaying this. They could have gone down this route previously. It's not unexpected because the council signalled it would go down this road." A LOCAL authority is acting in an "arrogant" manner by removing Environment Minister John Gormley from the process involved in the building of a waste incinerator, waste operators claimed. The Irish Independent revealed yesterday that Dublin City Council has applied for a compulsory purchase order (CPO) to buy 2.5 acres of land needed for the plant instead of waiting for Mr Gormley to grant a foreshore licence. A foreshore licence is needed as part of permission to build any development on the coastline. A local authority does not require one if it owns the land. In the dramatic move, the council has taken Mr Gormley out of the process because if the CPO is granted, a foreshore licence is not needed, despite continuing claims by campaigners that it is. Mr Gormley is not allowed to comment on the CPO process because it is part of a regulatory process, but yesterday he insisted that, despite the CPO move, the incinerator would not go ahead. He has repeatedly said that the plant is too big for the city's needs, especially as the volumes of waste being generated are falling. A new waste policy will be completed by the end of the year which will impose a tax on incineration and landfill to encourage recycling. "I determine national policy, not Dublin City Council," he said. "How is national policy out of my hands? "I have not been sidestepped on this issue. This debate is not about a foreshore licence but a change of policy. A facility of this size is impossible." His comments came after a group representing private waste operators yesterday demanded a public hearing into the CPO process. The Irish Waste Management Association (IWMA) accused the council of acting in an "arrogant and cavalier" manner. Spokesman Brendan Keane said, "The minister . . . has clearly signalled that waste policy is changing. "Dublin City Council continues to plough ahead with the construction of a grossly oversized incinerator. "Interested parties should refer the matter to An Bord Pleanala to ensure that an oral hearing and appropriate assessment of the proposed acquisition can take place, in full and in public." Dublin's assistant city manager Seamus Lyons said the council made the CPO after a request by its partner, US firm Covanta, because of delays in getting the foreshore licence. It was applied for in August 2008 from the Department of Agriculture, Food and Fisheries. Responsibility was transferred to the Department of the Environment last January, but the licence has not yet been issued. Construction work on the €200m incinerator started last December but ground to halt in May because the foreshore licence had not been issued, Covanta claimed. Covanta first raised concerns about the delay last month. It is understood, meanwhile, that works could have continued without the licence, which is needed to complete a system to discharge water used to cool the plant. The foreshore licence application has not been withdrawn and will run simultaneously with the CPO. If it is granted, the CPO will be withdrawn. The IWMA will lodge a complaint with the European Commission next month in relation to the contract between the council and Covanta, which will build the incinerator. PLANNING PERMISSION has been sought for a major development in the Cork docklands which the promoter says could create up to 5,000 jobs. The depressed state of the market means it could be several years, however, before the project proceeds, the developer said yesterday. Businessman Gerry Wycherley said the decision to apply for planning permission to develop the 24-acre site at the Marina Commercial Park had been taken in preparation for an improvement in the market over the next five to 10 years. Obtaining planning permission would mean the project would be ready to start once the market improved. Mr Wycherley said the 2.5 million sq ft development would include 880 apartments along 350m (1,150ft) of quay front, providing accommodation for 2,230 people. It would also include some 750,000sq ft of office space, some 200,000sq ft for business and technology use, just under 200,000sq ft for retail and almost 150,000sq ft for commercial use with retail and commercial located off Centre Park Road. “Obviously, at the moment, the residential market has bombed so we won’t start building the residential part of the project until there is a clear demand and we can move units. But I’m confident that the market will pick up. The demographics are good in that regard,” Mr Wycherley said. Mr Wycherley, who developed the Cork Airport Business Park, said the project did not necessarily have to be carried out in one complete operation but could be done on a phased basis once work had begun on the provision of infrastructure. The site comprised some 18 acres occupied by the Ford factory which closed in 1983 and a further six acres occupied by Dunlops, which closed 1984. Mr Wycherley acquired them in the late 1980s and converted them into the Marina Commercial Park. Some 150 businesses operate within the park, employing 1,500 people, and Mr Wycherley expressed confidence it would be possible to reaccommodate these existing businesses on site during redevelopment. The average height of the proposed development, designed by architects Henry J Lyons and Partners, is five to eight storeys with one landmark building of 16 storeys earmarked for residential usage and a second building of 12 storeys earmarked for commercial usage, he said. Cork city manager Joe Gavin welcomed the lodging of the planning application and said it marked a crucial step in realising Cork City Council’s vision for the development of Cork docklands. While Cork City Council is continuing to call on the Government for funding for infrastructure such as the Eastern Gateway Bridge, developments such as the Marina Commercial Park show that the business world has confidence in the city’s development plan, he said. DEVELOPER SEÁN Dunne has been granted planning permission to demolish and rebuild Hume House, a 1960s office block in Ballsbridge, Dublin 4. An Bord Pleanála granted permission to Mountbrook Group, a company owned by Mr Dunne, for the development. Approval was granted with 16 conditions, including that external finishes for the building should be agreed in advance with Dublin City Council. 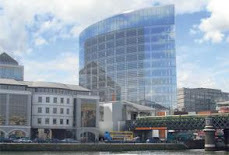 Financier Dermot Desmond was among the objectors to the proposal, describing the design as “ugly”. He had said the facade treatment and the quality of the design were both “poor” and the materials “seem to be chosen for their cost-effectiveness as opposed to . . . design interest”. Among the other objectors were An Taisce and the Pembroke Road Residents Association, which claimed the plan represented an attempt to improve the valuation of the site before it was taken over by the National Asset Management Agency (Nama). Asked if the development would go ahead, the Mountbrook Group declined to comment. Hume House, a nine-storey office block on Northumberland Road built in 1966, was named after its UK developers, Hume Holdings. It was one of the high-profile acquisitions made by Mr Dunne in 2005, which included Jurys, The Towers Hotel and the Berkeley Court Hotel in Ballsbridge. He acquired it from Irish Life when he swapped it for a docklands property. Hume House was valued at the time at about €130 million. The decision is likely to raise the value of the property, thus reducing the gap between its possible sale price and the value of any development loans taken out to fund its acquisition. Nama is in the process of taking over development loans from the banks. The planned new building, though also nine storeys at its highest point, will be nine metres taller than the existing building. It is designed in a “Y” shape, of six, eight and nine storeys high over a three-level basement. The development includes more than 16,000sq m of office space and more than 3,000sq m of basement space. Finishes include aluminium, sandstone and white stone facades with extensive glazing. One of the concerns raised by objectors was the possibility of flooding due to the planned three-storey basement and the building’s position in the Dodder flood plain. But planning inspector Karla O’Brien, who recommended to the planning board that the application be approved, said there were no records of the site or surrounding area, which is 400 metres west of the river Dodder, ever being flooded. A spokesman for An Bord Pleanála said it considered seeking specialist hydrological advice, but was satisfied that was not necessary. Mr Dunne has also submitted revised plans for the Jurys/Berkeley Court site in Ballsbridge. This followed the rejection of plans considered by the planning board last year, which included a 37-storey tower. His new plans include 12 blocks of chiefly residential development with two 15-storey towers.